This updo is a beautiful example of the messy chic style. Here, Lauren Conrad wears her long blonde hair pulled gently back to the sides where it is then pinned in a loose bun at the back of the head. Loose strands create a soft flattering look that is relaxed yet elegant. One side of the hair is left down to frame the face in a series of retro style finger waves. Dark roots fade to lighter blonde tones along the lengths of the hair to create a fashionable ombre look that gives this relaxed look a touch of summer. The ombre look is quite often worn with tousled waves or the messy look, but here, Lauren Conrad shows off a retro inspired style that looks fantastic with a subtle graduated colour that moves from a mid brown tone, through dark blonde shades and into a bright straw blonde tone. The change in colour is gradual so the effect is really very beautiful. The shape is also very effective – a vintage style side parting with soft but dramatic waves falling over the shoulder creates a feminine style that screams vintage glamour. Lauren updates the look with bright pink lips to create a modern twist. If you think that wearing you hair down, parted in the centre and simply allowed to fall in tousled natural waves without much styling might be boring, flat or unappealing, then think again – Lauren Conrad shows us that a fantastic colour can be all you need to make a simple long hairstyle into a truly show-stopping style. Perfect for casual wear or for creating a big impact at an event, this style makes use of a wide range of different blonde shades, with a range of highlights and lowlights that help her dark blonde shade gradually become lighter towards the lengths for a sun kissed, ombre look. When your colour is this fab and your hair is in this kind of condition, you don’t have to wear it in a complex style to look amazing. Here, Lauren Conrad wears her beautiful long hair in a simple centre parting with the long lengths falling over the shoulders in very loose, natural looking waves. 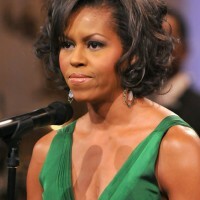 The shape of the hair comes from a series of cut layers, some of which are quite short and sit just below the jawline. The colour is a beautiful rich combination of dark blonde and warm honey shades with subtle highlights throughout the lengths. 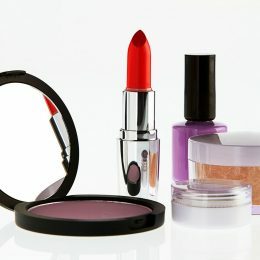 The overall effect is very pretty and works perfectly with Lauren’s tanned complexion. This is a pretty, feminine style that looks casual and relaxed but so flattering. Lauren Conrad wears her long to just below shoulder length – a great length for making a round face look longer and balancing width. The side parting really flatters her face, a sweep of the hair falls to the side, skimming the eye and framing the side of the face perfectly. To tie in with this laid back straight style, Lauren opts for a natural looking colour in a warm mid brown with golden highlights to accentuate her tan skin tone. Simple but very pretty. 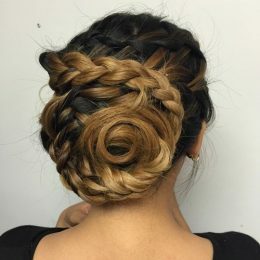 The style might be simple, with the hair kept loose and wavy and just a few strands pulled back and secured at the back of the head to add some shape, but the colour is the main attraction here. Lauren Conrad’s golden tan is perfectly matched by this stunning hair colour, with lots of sunkissed summer highlights and a wide range of tones combining to create a truly multi-tonal hair colour that manages to look natural, feminine and yet so rich. 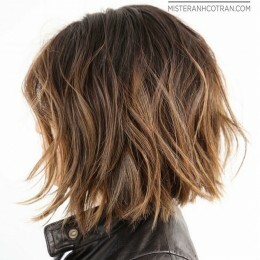 A medium golden brown is lifted by layers of golden blonde highlights throughout. The hair is shiny and glossy, drawing even more attention to the fab colour. Lauren Conrad’s long locks are perfectly coloured, conditioned and styled here to create a big beautiful style that she could literally wear anywhere. With a centre parting and all the hair worn loose, the impact of this style comes from the carefully constructed curls and the depth of colour. The lengths of the hair are curled from around the cheekbones down, drawing the eye to this part of the face. 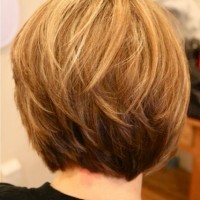 There are loads of highlights, from honey shades of blonde right through to very bright straw coloured glimmers. A truly multi-tonal look that is fantastic for a longer face. 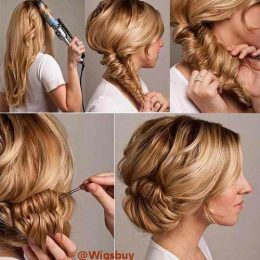 Find more Lauren Conrad and latest hairstyle for 2016 on our site.